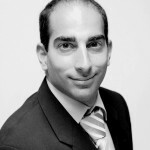 Amir Sasson is the Academic Vice President and member on the board of directors at CCDD. He is a professor at BI Norwegian Business School. Sasson has a PhD from BI, Norwegian Business School and has been a visiting scholar at Stanford University, USA, and The Technion, IL. He has published in the field of business models, network theory, inter-organizational relations, entrepreneurship, and industrial competitiveness. He has recently headed (together with Torger Reve) a large national research project on the competitiveness of Norwegian industries, Knowledge-Based Norway. Amir takes an eclectic approach to both life and research. He has lived in five different countries, has traveled for more than a year around the world and continues to do so, and has learned economics, law, management and sociology. He speaks three languages on daily basis, sometimes all three in one sentence. Questions left unanswered motives his research endeavors. He has been answering questions relating to business models (of banks as well as Professional Soccer Clubs), the return on entrepreneurship, ensuring adequate access to debt capital to entrepreneurs, competitiveness for high cost countries and lately the transformation of strategy and logistics.